Uruguay. A country with a population equivalent to New Zealand’s in about 1982; pioneering host of the inaugural Football World Cup in 1930, and the second-ever repeat champion after Italy. And now a nation with great footballing significance for New Zealand, with the miraculous and ground-breaking third placing in a FIFA World nations tournament. As achieved by our brilliant Under-17 national women’s football team. Not only have they hugely de-odourised the rancid reign of A Martin and A Heraf; they have shown that this country can compete with the best in age-grade football without having to build a human barricade in front of the penalty area, because ‘we’ll never be able to compete with the real football nations.’- a curt and dismissive utterance from the second-in-charge of highly unfortunate rancid reign. They have, in such a spell-binding way, put female sport front and centre into our consciousness even more. That has got to be a good thing, because it’s a really quality product (that word makes one queasy) these days. And importantly, because it pushes on towards legitimising everything a fraction quicker than before. It also legitimises and gives a boost to the stocks and the coffers of Oceania Football. It’s something mirroring the heroics of Fiji in 2015 in the Men’s U20 World Cup group stage in Christchurch, when they beat Honduras 3-0. Only our girls superseded that by keeping on winning. 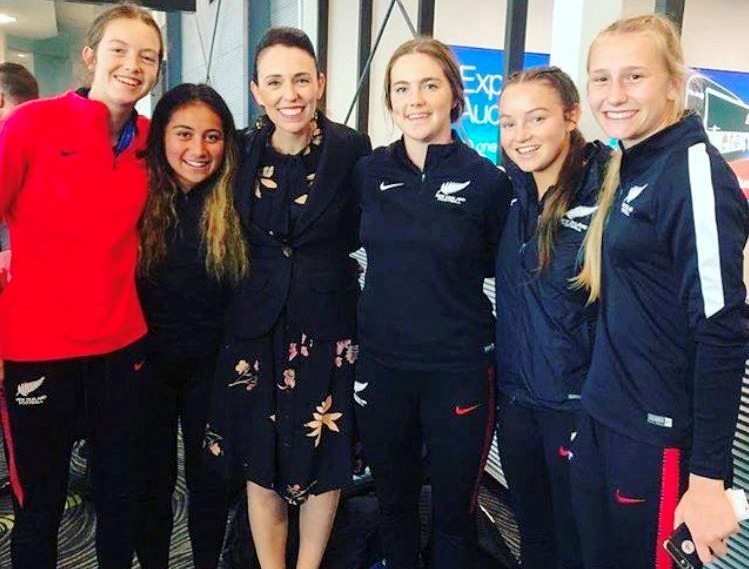 Their deeds will highly likely lead to a surge in the player registration numbers of junior girls across the country next year, who will obviously look to the performances of genuine world-class players like Grace Wisnewski or Anna Leat for inspiration. This NZ sporting year was the year of the teenager, or more specifically, the year of the 16 and 17 year-old high school student. And it was a journey back to the Bronze Age. There were the two 16 year-olds Nico Porteous and Zoi Sadowski-Synnott taking third at the Winter Olympics in snowboard with dub cats and dub curls, 17 year-old Amelia Kerr breaking a world batting one-day record in Women’s cricket, and now the heroics in Uruguay in the football. Have probably missed someone. Apologies if so! However even though secondary school sport really seems to be going places across such a varied range of sports, let’s hope the high performance brigade don’t start a proliferation of academies. A big reason for the heroics and achievements of the kids above is probably due to the balance in their lives, their genuine state of level-headedness, and of having minimal exposure of the ‘bubble’ effect of their sport almost 24/7. Which is exactly the cause of all the recent consternation in the way the high performance programmes have almost been detrimental to the well-being of its participants. And it’s a path we need to stop going down. There are plenty of examples of when young talent is ‘hot-housed’ and shut off from the real world, that the social consequence can be dire. Just look at the Australian cricket team earlier this year.